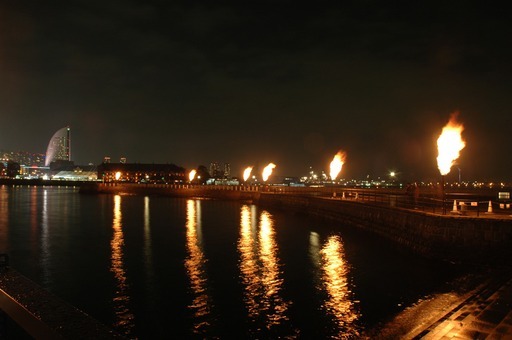 Resposive Environment j: Mediascape @ Yokohama :: Thank you for coming ! Mediascape @ Yokohama :: Thank you for coming ! We were able to present "Mediascape @ Yokohama" safely. Thank you for coming on that day. The documentary photography and the video were up-loaded. Though it rained a little immediately before beginning, wet ground reflected flame and it was rather a good effect.